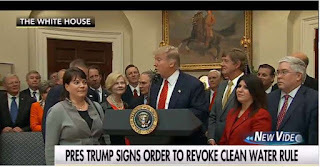 Mesa County Commissioner Rose Pugliese stands alongside President Trump as he signs an executive order repealing the Waters of the U.S. rule. 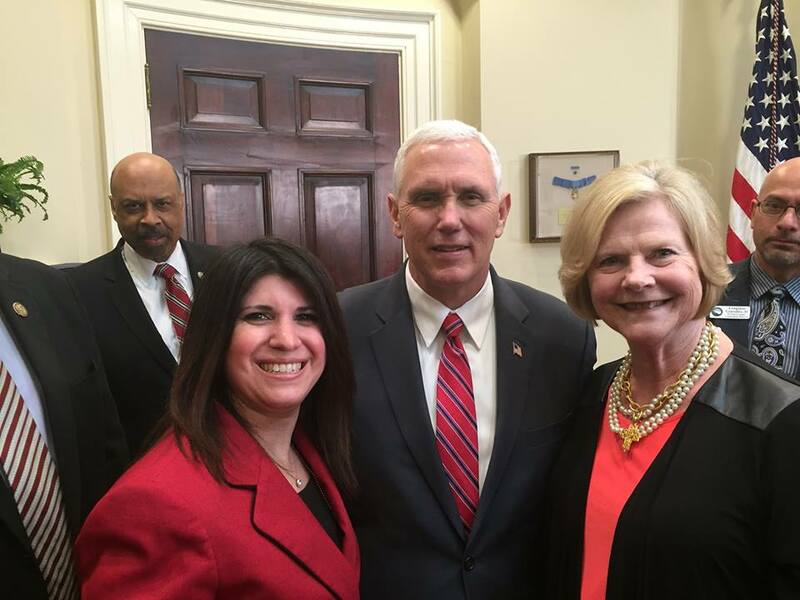 Left to right: Mesa County Commissioner Rose Pugliese and Vice President Mike Pence at the White House after President Trump signs an executive order repealing the Waters of the U.S. rule. 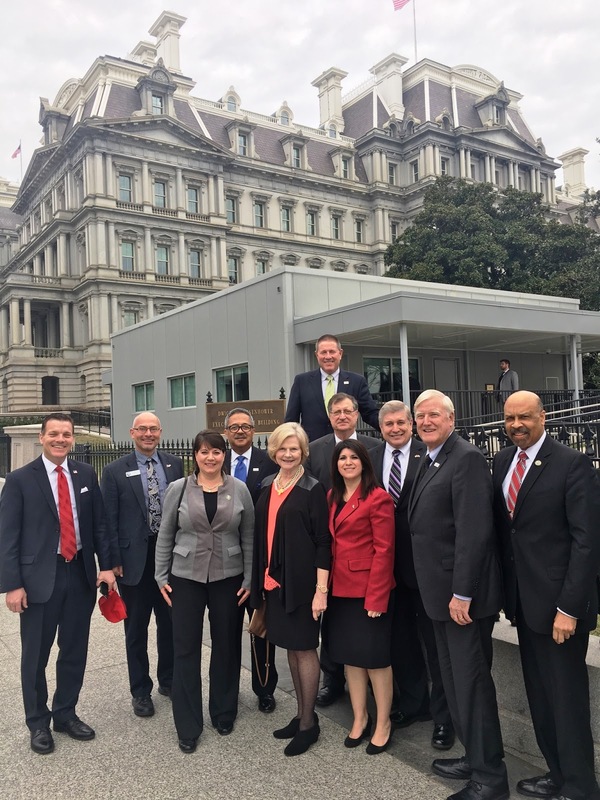 Mesa County Commissioner Rose Pugliese at the National Association of Counties Legislative Conference in Washington D.C., delivering the message that federal policies matter to counties. 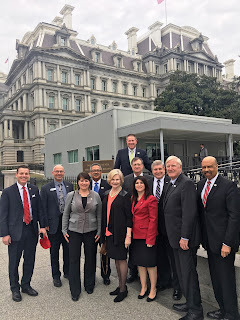 Due to Commissioner Pugliese’s leadership position with Colorado Counties, Inc. (CCI), as the Chairwoman of the General Government Legislative Steering Committee, the trip was paid by the association. Mesa County Veteran's Services Officer, Brian Oney briefs Commissioners in public hearing. In the first six months as Mesa County VSO, Brian has made 753 veteran contacts, had 261 office visits, and 56 service connected claims submitted. The Mesa County Finance Department was honored with Excellence in Financial Reporting Award. The prestigious award recognizes governmental accounting and financial reporting and represents a significant accomplishment by the Finance Department leadership and staff. 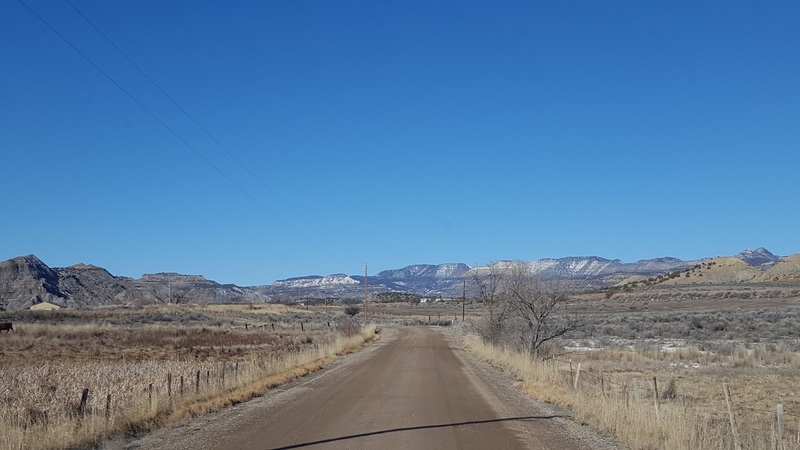 Mesa County has received this honor every year since 1993. 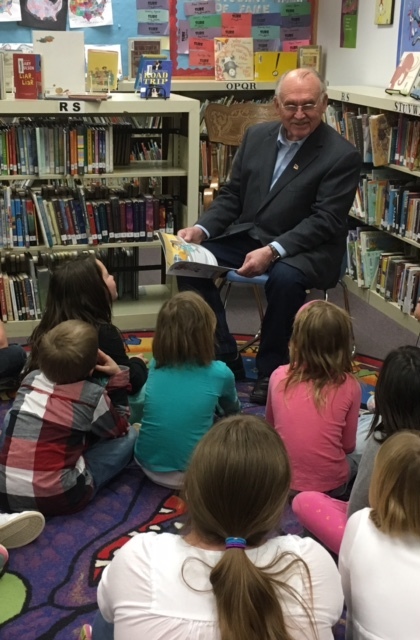 Mesa County Commissioner John Justman reads to Thunder Mountain Elementary students. Business Analysts Janette Haynie, left, and Beverly Salazar take a break from helping Mesa County residents living outside of Grand Junction city limits apply for Open Burn Permits at Mesa County Health Department, 510 29 1/2 Road. Mesa County Fleet Maintenance Tech Paul Popish replacing transmission cooler lines on a Sheriff's Office Chevy Tahoe SUV. 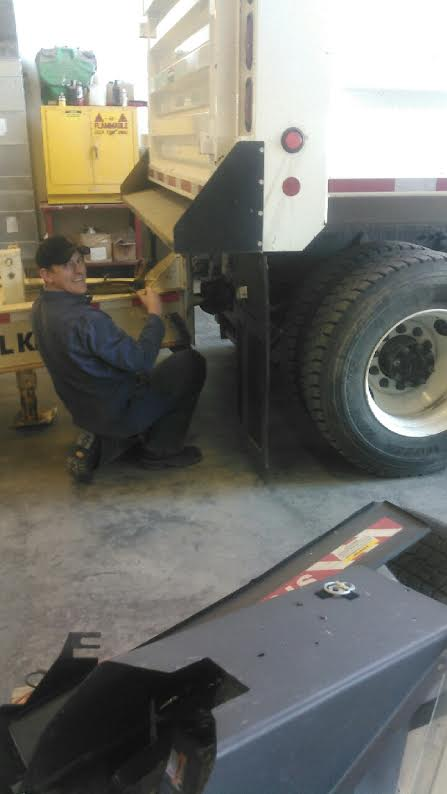 Mesa County Fleet Maintenance Tech Tony Fuoco unhooking a trailer to work on. 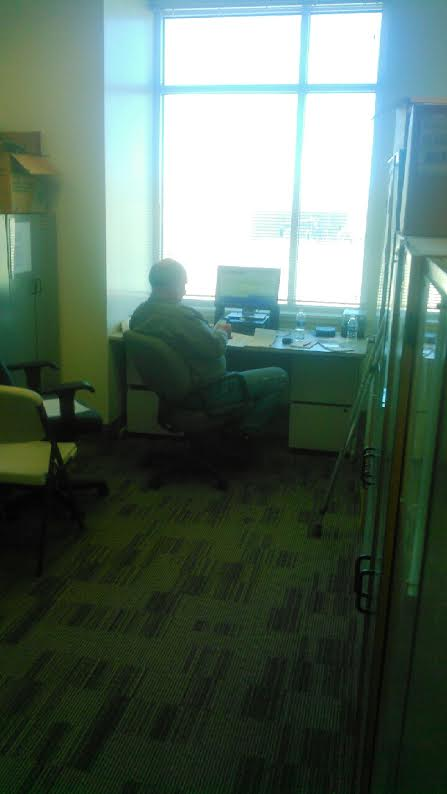 Mesa County Fleet Maintenance Tech Roger Staley doing some "crutch-less light-duty" computer work for Fleet. Standoff in Clifton ends after a mean goat corners deputy. Reinforcements were brought in to help save the day. The goat finally cooperated and was escorted home. The "mean goat" was roaming outside a woman's house, and she couldn't leave, so she called the Sheriff's Office for help. 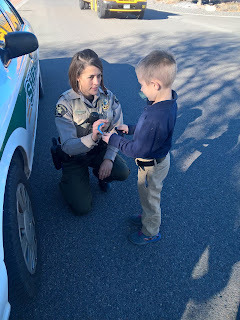 Mesa County Sheriff's Office Deputy Kandyce Stuckenschneider answers questions from a six-year-old boy. Mesa County Sheriff's Office Deputies Alexander Zwinck and Kandyce Stuckenschneider talk to Nolan, a six-year-old resident who was interested in knowing what it takes to be a deputy. 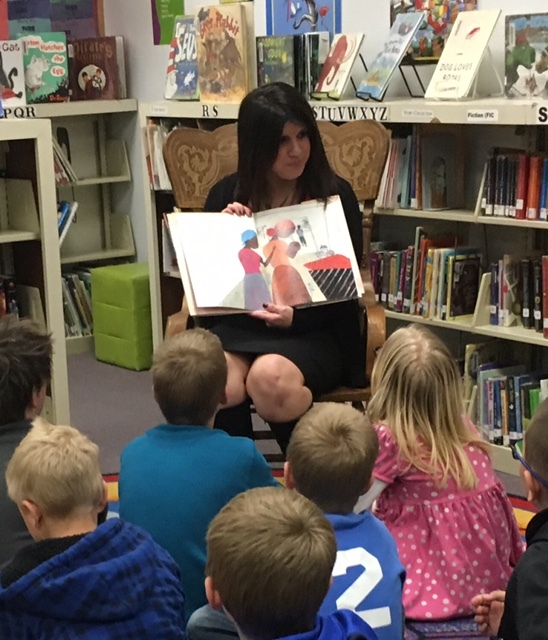 Mesa Commissioner Rose Pugliese reads a book to third graders at Thunder Mountain Elementary School for National Read Across America Day. 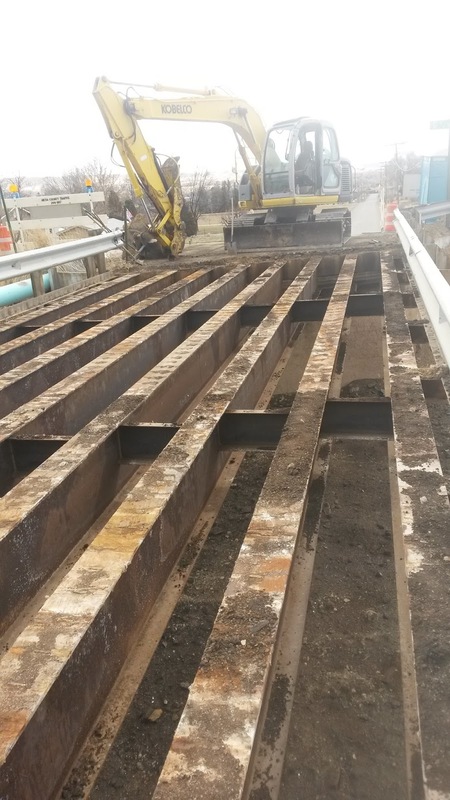 Mesa County Road and Bridge replacing the bridge deck near Palisade Irrigation's office. 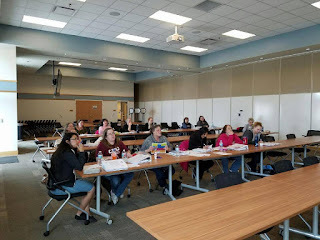 Health Promotion Specialist Karen Melott hosted a class of Mesa County licensed childcare providers (pictured) last week. 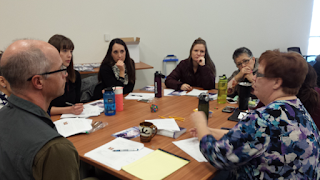 The class focused on "I'm moving, I'm learning." MCHD hosts classes to help licensed childcare providers expand their skill sets. Mesa County Commissioner presented Sarah with a Certificate of Recognition for being an exemplary young woman who demonstrates innovation, and whose motivational involvement has improved schools and communities across the nation. Inspired by her twin brother who has an autism spectrum disorder,  Sarah started a non-profit organization, "Score a Friend," to promote and support youth to lead school-based unified clubs for students of all abilities to access sports, electives, and friendship. 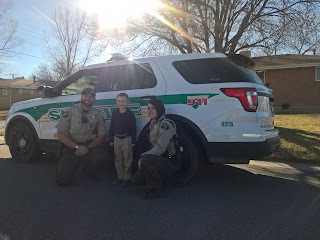 Mesa County Sheriff's Office Deputy Barry Hernandez and Health Department Julia Rascon and Jessica Esqueda contribute to a part of the Sheriff's Office new recruitment video project. Mesa County Clerk Sheila Reiner and Amanda Polson give Clerk Tuin's staff a tour of the ballot sorting room. Mesa County Elections staff hosted the City of Grand Junction Clerk's staff for a meet-and-greet and tour of the facilities. The Elections' office will work alongside and in support of the City Clerk's office during the Municipal Election this spring. Mesa County Clerk Sheila Reiner had fun reading to classes at Lincoln Orchard Mesa. The Clerk stated that the kids didn't seem all that interested in hearing about license plate renewals, the election process or marriage licenses, but they really enjoyed the books. From left: City Clerk Stephanie Tuin and Mesa Clerk Sheila Reiner alongside a Dominion Voting tabulator that will be used to tally the results on April 4. Healthy Family Initiative front line staff discussing a potential social service information exchange for sharing information when they are working with the same client. 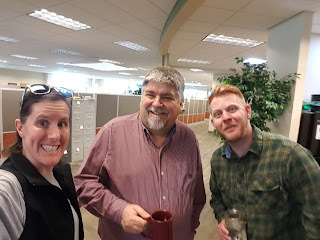 Teresa Nees of Noxious Weed and Pest Management, Daniel Sundstrom with Planning, and Dan Caris with Public Works catch up on work plans and celebrate Dan's birthday. 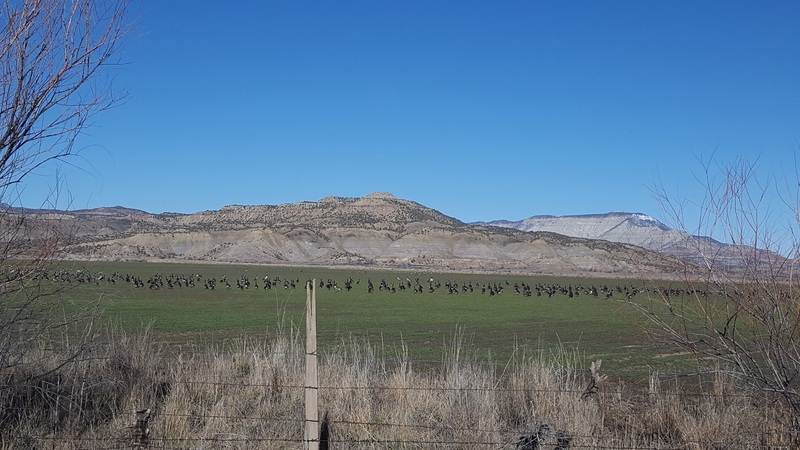 The Mesa County Noxious Weed and Pest Management team take in the scenery near DeBeque while doing a roadside noxious weed survey with Road & Bridge. 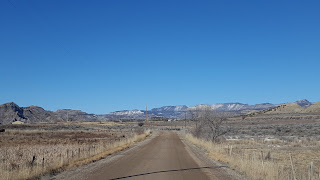 Mesa County Noxious Weed and Pest Management and Road and Bridge staff members conduct a roadside noxious weed survey near DeBeque. 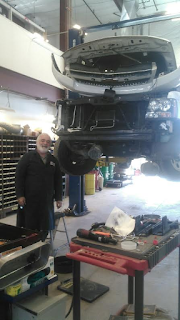 Mesa County Information Support Specialist Dave Underwood installs a SMART kapp, an interactive whiteboard. This week the Mesa County Animal Services is taking care of 51 dogs, seven cats, and two (adoptable) rats. 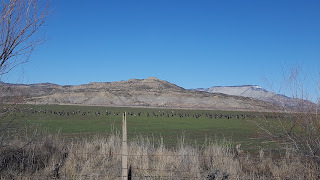 Animal Services' mission is to enforce animal ordinances that protect the safety and welfare of the people and pets of Mesa County. They collaborate with animal welfare agencies to rehome pets and provide community education promoting responsible pet ownership. Mesa County Animal Services Technician Barb Cutunilli busy cleaning and disinfecting before the shelter opens to the public. Mesa County Animal Services Officer Kevin Bozarth uses a chemical agent that kills harmful microorganisms to disinfect. Over the last 40 years, the number of dogs and cats in U.S. households has more than doubled yet animal shelter euthanasia rates have dropped by more than 60%. 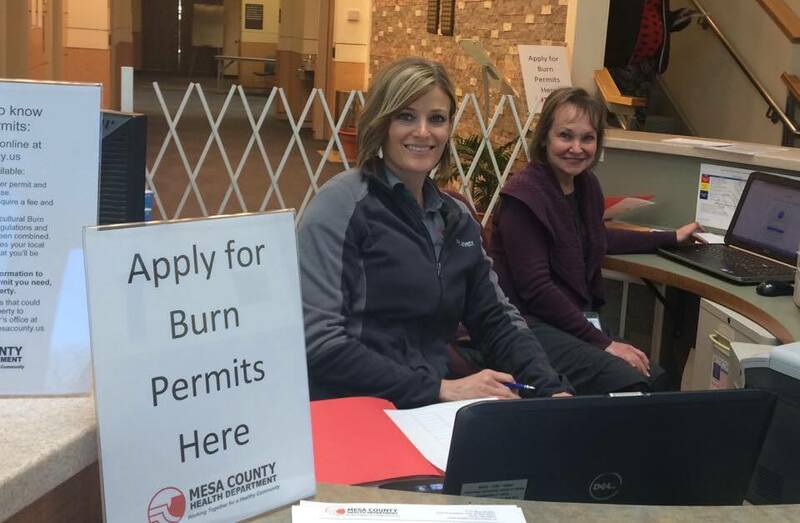 In Mesa County, the numbers are following the national trend. The earliest records we could locate for Mesa County Animal Control was 1988. That year 5,669 animals were sheltered, and 4676 or 83% of those animals were euthanized. Mesa County Animal Services Officer Joe Cruz cleans floors before the disinfecting process begins. The minimization of disease spread requires a team effort that involves the consideration of many different factors, proper sanitation being just one of them. Mesa County Animal Services Manager Doug Frye talks about the importance of the time and energy spent cleaning and disinfecting the shelter as a major barrier against disease. A clean shelter encourages adoptions and public support as well as protecting animals from disease. Mesa County Animal Services Officer Kate Scales catches up on paperwork.